Joan Rivers' jewelry, costumes, handbags and more will be auctioned at Christie's in New York City on June 22. 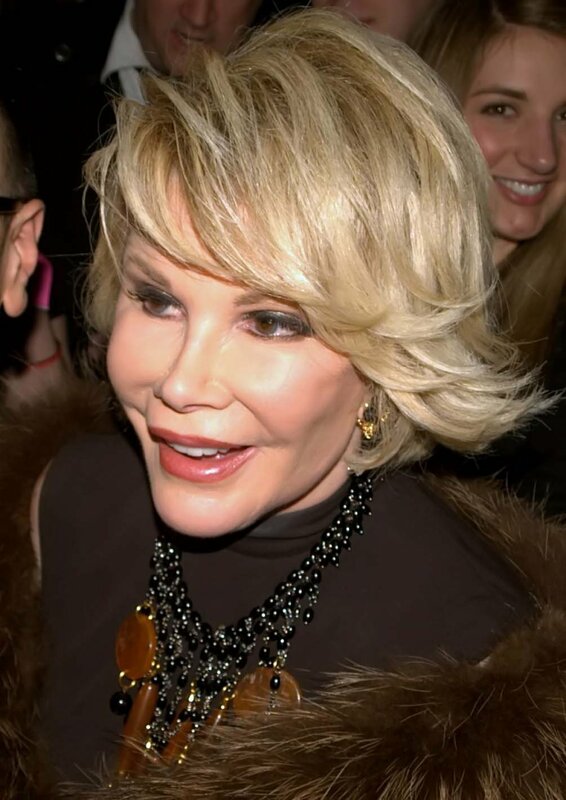 The late comedian and former "The Celebrity Apprentice" winner, who was known to TV audiences in her later years as co-host of E! 's "Fashion Police" with daughter Melissa, was a groundbreaking female stand-up comedian and the first female host of a late night television talk show. On Aug. 28, 2014, she underwent a procedure on her vocal chords at a private medical center in Manhattan, and stopped breathing on the operating table. She died one week later at the age of 81. The iconic native New Yorker's collection of Faberge pieces will be offered in a live auction and numerous other items will be auctioned online, Christie's announced. Included in the auction is a selection of Victorian enameled brooches; several couture gowns by designers such as Vera Wang and Halston and handbags by Judith Lieber and Chanel. Melissa Rivers, the late comedian's daughter, decided which pieces would go to auction. Nearly 300 lots are up for grabs during the live auction, including a Tiffany dog bowl, the desk and chair where Rivers is likely to have written some of her off-color jokes and an Edouard Vuillard painting that is expected to bring more than $120,000, Yahoo News reported. "There's really just incredible depth to her collections," Gemma Sudlow, Christie's specialist head of Private & Iconic Collections, told ABC News. "There's glitz. There's glam. There's that Hollywood feel to it, that show business feel to everything." The furniture to be auctioned comes from the comedian's 11-room, three-story penthouse apartment, located on Manhattan's Upper East Side. Rivers had lived in the penthouse apartment since the late 1980s. It sold for close to $30 million in July 2015. The collection is on view through June 22 at New York's Rockefeller Center. The online auction, which contains 77 lots, has already started at christies.com.